I have been so lucky to have worked with Earls many times. This time I was sent a generous gift card to go and check out their new brunch menu. I have never had a bad meal so I was very excited to go. Joining me was my hubby, daughter and my mother in law. Wow, did we feast!! I knew exactly what I wanted to start with, their Signature Caesar and I was delightfully surprised that it was on special for only $5.00. every Sunday with brunch. 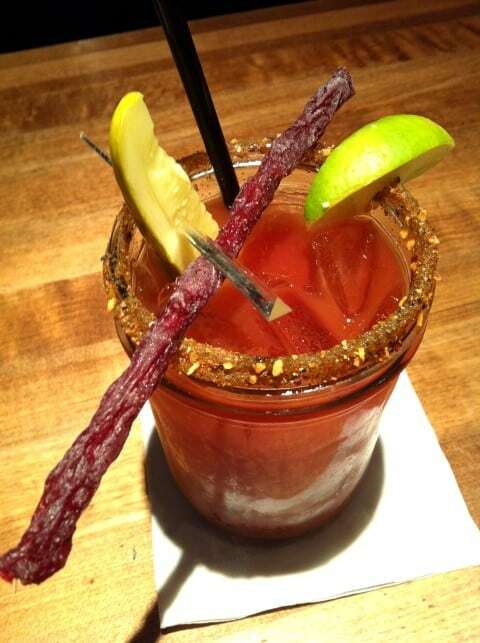 It has the most amazing spice mix around the rim, plus a jerky stick and a pickle. A whole little meal onto itself, isn’t it gorgeous!! 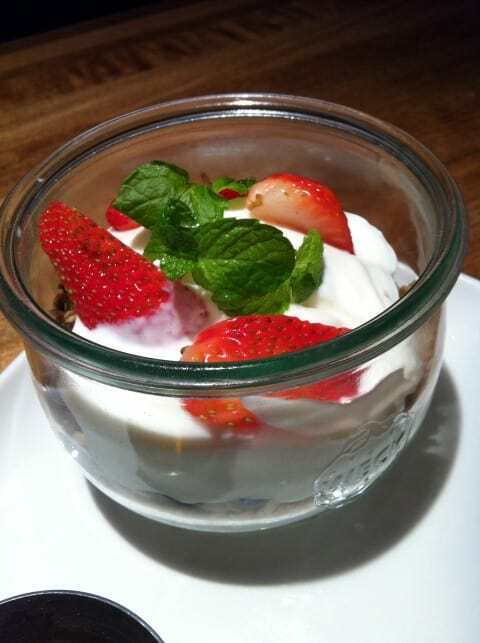 Next up, my Mother in Law had this amazing looking Granola + Yogurt Parfait, it had a little side of agave for sweetener. She loved the whole thing!! Amber had this mind blowing Eggs Benny, she devoured those ultra crispy potatoes with a vengeance saying she had never had potatoes this good. Then dove into the eggs, that were rich orange in color, plus all that amazing ham and on sour dough bread, what a treat!! 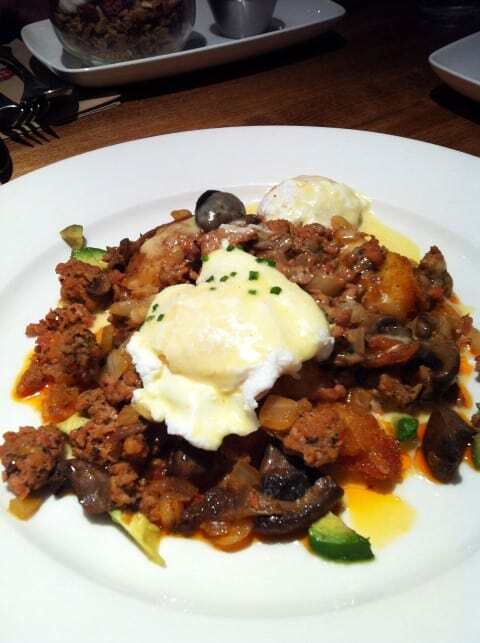 Ken went for the Chorizo + Mushroom Hash. A plate filled with all that he loves. Ken’s only complaint was that he wanted more. That’s okay he had to help Amber and I with our huge meals!! I had the Croque Madame which is closely related to the Croque Monsieur but has an egg on top. 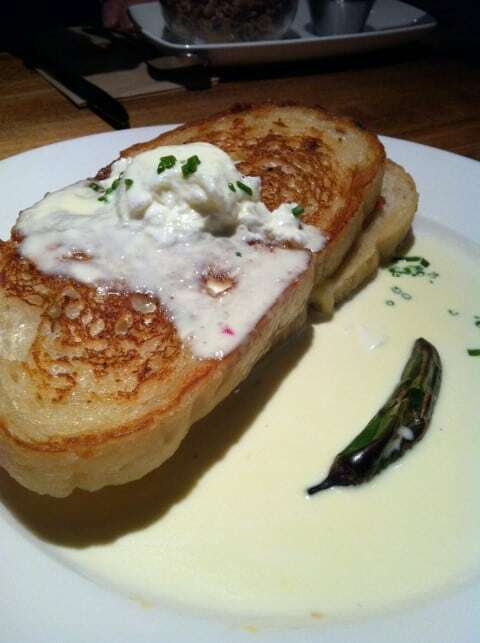 A rich and divine sandwich of virginia ham, white cheddar and house made sourdough bread served with a roasted serrano cream. I could have picked up my plate and licked the sauce. Truly stunning breakfast and I loved the grilled spicy serrano pepper that was added. I gobbled that down in little pieces with the sandwich, perfection!!! The service was great as it always is and the prices were astounding too!! Very reasonable!! 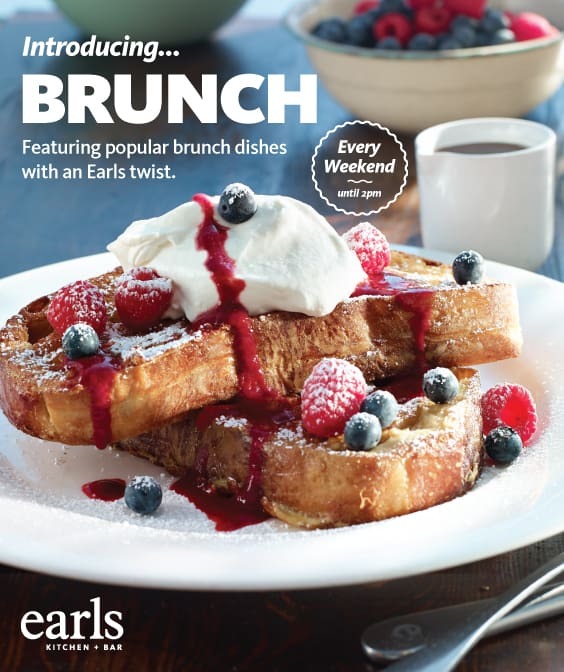 Not that many restaurants offer a really good brunch menu, well Earls has changed that!! I can’t wait to go back and try the french toast!!! The food looks great. Now if only there was an Earls in my area. 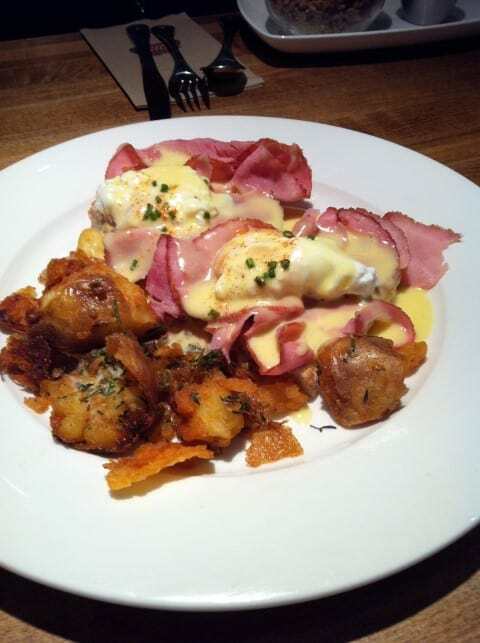 Earls has such great food, if you are ever in the area you have to check them out!! Thanks so much Liz for coming over! !